This Sekiro: Shadows Die Twice mod allows players to customize their Sekiro charater with 8 sets of Bloodborne attire and more. This Sekiro: Shadows Die Twice mod is a Reshade for Sekiro that aims to be universal throughout the whole game, while not overdoing it with effects. 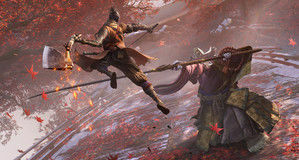 This Sekiro: Shadows Die Twice mod addresses a huge section of Sekiro's gameplay and will aim to make prosthetics much more viable out of their niche uses, make combat arts that cost emblems more friendly to use, give you a higher capacity of emblems, and many many more changes to make the game much more open to versatility in combat. This Sekiro: Shadows Die Twice mod gives the players the Blue Moonlight Sword Reborn. This Sekiro: Shadows Die Twice mod turns the player's sword into a rusted, busted, bloody, battered blade for a broken Shinobi. This Sekiro: Shadows Die Twice mod is a Sekiro skin using the color scheme and symbol of the Brazilian Swordplay group "Falkisgate"
This Sekiro: Shadows Die Twice mod makes the fire damage buff given by using Living Force with Flame vent last 1-hour long. This Sekiro: Shadows Die Twice shows off the game's Tenchu roots by adding a selection of the best Tenchu stage/ambient songs (instrumental) that matches perfectly with Miyazaki's masterpiece. This Sekiro: Shadows Die Twice mod adds two new Oni outfits. One design is based off of the Smoke and Shadows outfit, and the other is a new one based around the color green. 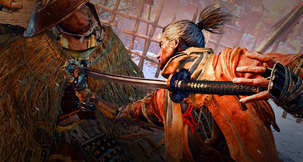 With this Sekiro: Shadows Die Twice mod, after defeating Guardian Ape, you can get 3 kinds of weapons: Its huge head, a centipede and a worn katana.